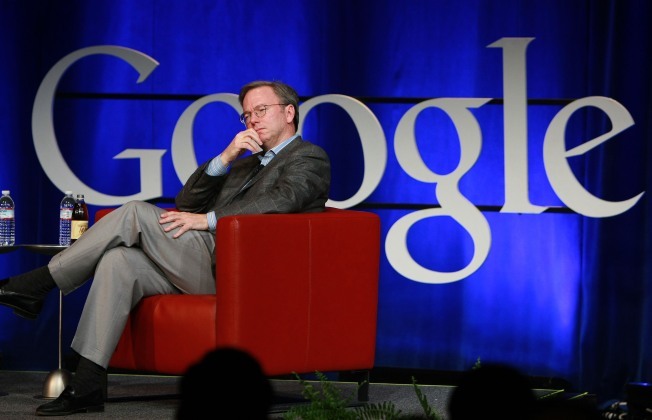 Google CEO Eric Schmidt is hatching up a plan to speed up your Internet. Google must feel like we do about average Internet speeds in the U.S., declining as other developed nations enjoy increasing speed. The "don't be evil" Googlers plan to build and test an "ultrahigh speed broadband network in trial locations across the United States" for at least 50,000 people, and maybe up to 500,000. Best of all, Google wants to offer this service at competitive prices, and share what it learns about mass-market fiber optic networking with everyone. How fast is ultrahigh speed? Try 100 times faster than what most of us have now, fiber-to-the-home connections zipping along at 1 gigabit per second. To give you an idea, the Internet service you're currently using to read this is probably somewhere between 5 megabits (Mb) per second and 15 Mb per second, if you're lucky. The U.S. average is currently 3.9 Mbps. A gigabit is heckuva site faster than that, equal to 1000 Mb. Google is starting out by trying to identify interested communities. Interested communities?! We'd say that would be all of them, Google. "Streaming three-dimensional medical imaging over the web and discussing a unique condition with a specialist in New York. Or downloading a high-definition, full-length feature film in less than five minutes. Or collaborating with classmates around the world while watching live 3-D video of a university lecture." A gigabit per second? Sheesh, most people's home networks don't even go nearly that fast. This could be a big deal, finally improving the pathetic "broadband" networking landscape in this country. We're thinking real-time HD videoconferencing with a dozen people. What would you do with 1Gb per second?